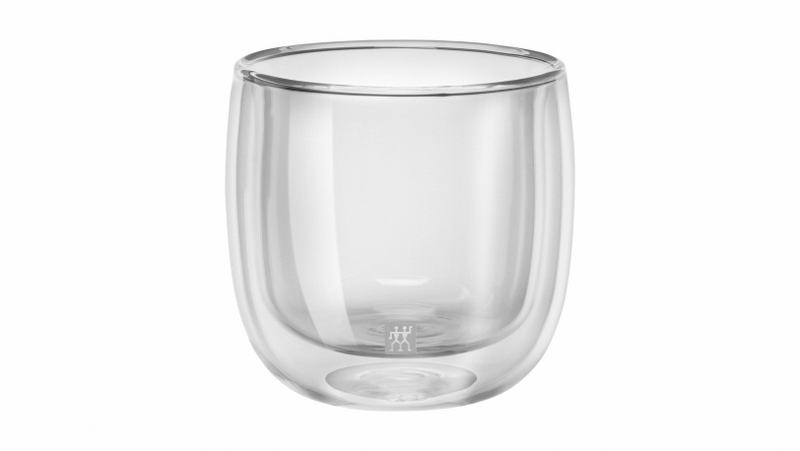 This set from the ZWILLING® Sorrento series consists of two glasses with a capacity of 240ml each. Designed by Matteo Thun & Antonio Rodriguez, the set is made of borosilicate glass which is insensitive to temperature fluctuations and is therefore ideal for hot drinks. Borosilicate glass is also lightweight but very durable. The two glasses of the set are handmade and mouth blown. Their double-walled design ensures that the tea stays hot for a long time.